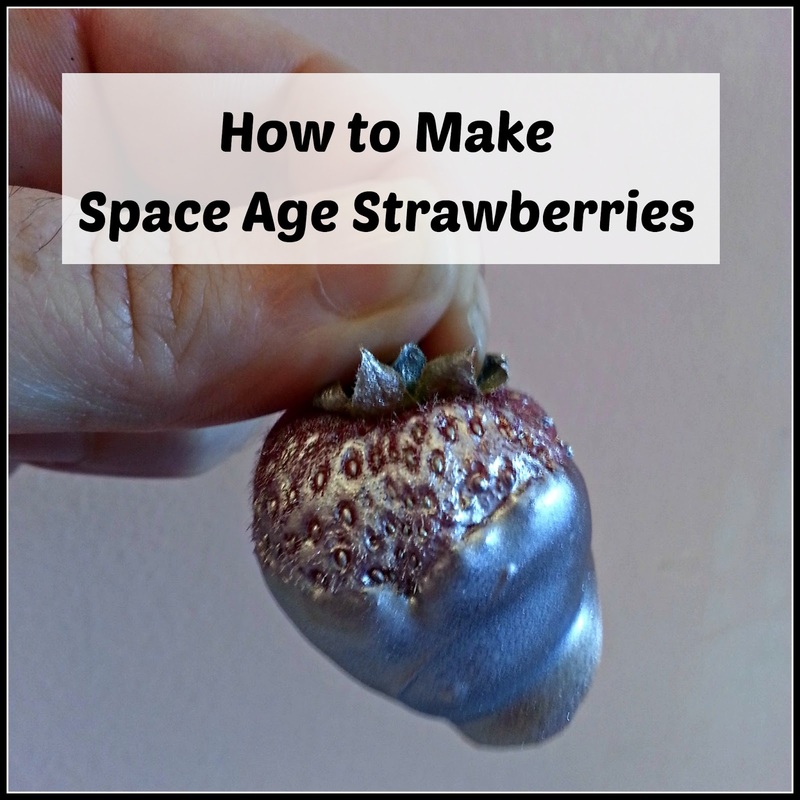 Space Age Strawberries; Making Fruit Exciting for Children! My daughter has been the big sister to a fussy eating younger brother for years and during that time she has come up with lots of fun ways to encourage him to try new foods. I don't know why she is so good at it, I think it's partly the imagination of youth and partly the fact that she is close enough in age to him to still remember what it was like to be suspicious of food! Her latest invention is a novel way to jazz up some strawberries. This simple recipe makes them more appealing to little, and bigger, picky eaters and it involves a product I am a huge fan of. It's not especially cheap, contrary to my normal food posts, but it does last a long time, as a little goes a long way. 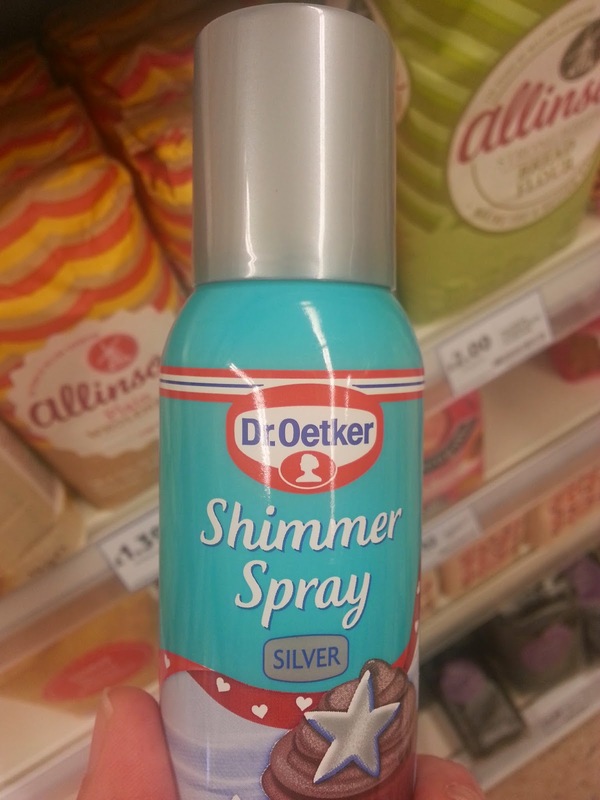 Dr Oetker Shimmer Spray is so much fun, your food will never be the same again! I originally bought Shimmer Spray by Dr. Oetker for a gothic cake I made for my daughter's birthday. It featured a dagger and I used the spray to achieve an authentic metal colour. I've since found it useful for other decoration, such as adding a little magical sparkle to children's cupcakes and even for stencilling patterns onto biscuits! By far the most inventive use I've found though, is this one, the Super Strawberry Surprise! As you can see from the pictures, it works on other fruits too. 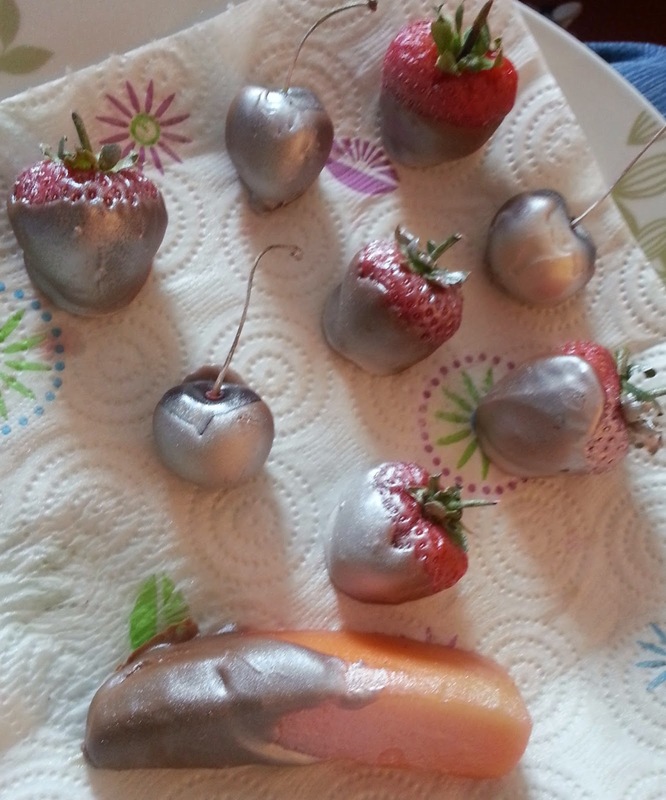 All you have to do is dip the fruit in a small amount of melted chocolate, allow to dry, then spray a little shimmer spray over the chocolate. It doesn't matter if it isn't very neat, it just adds to the effect. Children love their special space-age fruit and it also looks elegant as finger food for buffets and parties. Oh wow!! This looks totally awesome. I want to try it on grapes, I think they would look really cool. I always wondered just how shimmery that spray would be. If I'm honest I think it's a bit too intense/solid, although I like the idea. Maybe you could spray it direct, without the chocolate underneath, or maybe dip it in sugar instead of chocolate? Be wary of letting them do their own, they will look like extras from Dr Who by the time they've finished! It had that effect on me,too! My son was so confused! ha ha i guess its a way of tempting reluctant fruit eaters. I will try pretty much anything on that front! I may have to try it on vegetables too! What did we do before silver cupcakes anyway? I want to know the answer to that now! I can see us having a lot of fun with that. Would be great for a themed party. Oh yes, that's a great idea! I now want to spray all of my food silver! Oh wow these look amazing - almost like art rather than food. I wish we had posh dinner parties, I would love to wheel some out and impress the guests! That is so true! I never thought of that, a sidfe effect of not having little girls, I think! 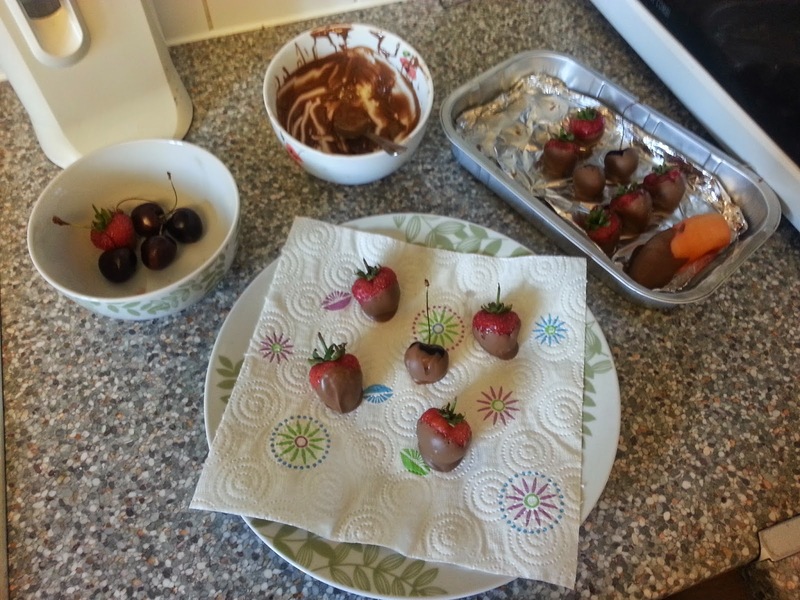 And sort of healthy too.. if you overlook the chocolate anyway! Wow that's very cool! We love Dr Oetker - I bought some of their products this morning for some cake dcorating with the kids later....will look out for the spray next time! It comes in gold as well! Ooh, I do love my sparkles. This is pretty. what a fantastic idea. Luckily my son is quite good with his fruit but I will definately keep this in mind as we are having a space age theme for his 4th birthday plus I am 39 weeks pregnant with baby 2 so who knows whether this wee one will eat his fruit and veg. Thanks for the top tip.